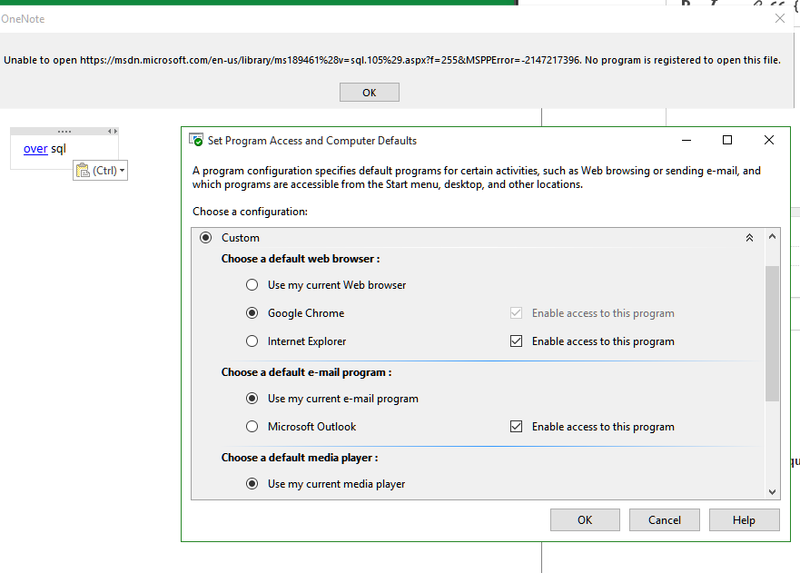 Launching Chrome as default browser for links in Windows 10 doesn't work. Setting any browser as default, including Edge and Internet Explorer, works. This may be a side effect from the fact that I deleted the following entries according to a very popular fix for the "Chrome class not registered" error. This question, might actually be how to fix the above fix... any ideas how I can restore those Chrome registry keys? Installing Google Chrome directly over this solved this issue including after doingn the class registry hack. Make sure to select "Set as default browser" at the pre-download page. Not the answer you're looking for? Browse other questions tagged google-chrome windows-registry windows-10 or ask your own question. What changes my default browser from Chrome back to IE10 in Windows 8? How I can set default browser manually with file or registry modification? Why is internet explorer the only browser that can open .url links by default?